What is going on with our maids and their employers? 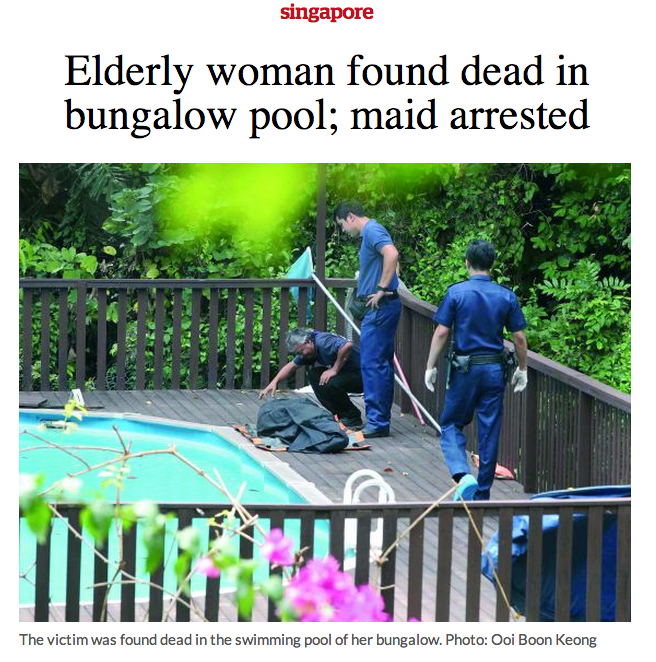 In the backdrop of the two recent cases of elderly women murder by their young domestic helpers, respectively from Myanmar and Indonesia, it is high time we think and talk about the relationship issue between our maids and their employers. Award-winning film – initially not supported by state funds although requested – Ilo Ilo, gave us an emotional take on the selfless and diligent work done domestic helpers taking care of our families, especially when the able-bodied adults in the household have to take care of their busy schedules of work. But what with leaving our maids – who come from predominantly non-Chinese-speaking places – to tend to our predominantly dialect-speaking grandparents? When English – the language that is a requirement by the relevant authorities on maids – cannot be used effectively as a medium of communication, at least not in the beginning, and is not a convenient language to learn? Should our agencies teach them basic dialect of the household they are going to work in, or should the young adults in the household themselves be enthusiastic enough in teaching them basic languages for communication? Firstly, on the maids’ side: Do our maids have sufficient cultural qualities to work in the Singaporean household? And on our side: Is it the culture of ‘slavery’, ie. the mentality of ‘making full use of labour’ and hence ‘working the maid out’, the underlying cause for the ill-treatment of maids that we see in the news form time to time, on the one hand, and the general inadequacy in our helpers’ emotional well-being during their time in Singapore, on the other? Whatever is the reason, it is time to find out. As Acting Minister Lawrence Wong, Minster Tan Chuan-Jin and finally, our Prime Minister, Lee Hsien Loong, all focused on calling on Singaporeans to be more gracious and “compassionate” as they were weighing in on the commentary by BBC correspondent, Charlotte Ashton, discourse on a deeper look into the reasons behind such societal behaviour is avoided. The New Era finds the said BBC article and reproduces it in full below for your perusal. You would find that a clearer take on the issue can be achieved if one is more diligent, informed and honest. Hiding the root causes of the issue and playing circus with the people does not solve any problem at all. It is time to look at why we are the way we are, and how we can change for the better – an area the PAP would not want to go into, especially when it means giving up its long-held “principles” and dismantling its mechanisms of control for the benefit of its monopoly on power. Singapore’s reputation as a wealthy, aspirational and hi-tech country ensures it attracts a great deal of foreign talent – so why is it labelled the world’s least positive country? “Check this out,” posted one friend on my Facebook wall, with a link to asurvey of 148 countries in which Singaporeans were revealed to be the least positive people on earth. At the bottom of the happy pile along with Iraqis, Armenians and Serbians. “Good luck in misery city!” he wrote. In the free public BBQ pits of Singapore’s beautifully-kept parks, for example – always full of jolly families and groups of friends enjoying an evening in the tropical heat over a cool-box of beer. And at dinners with our Singaporean friends who did not seem to moan anymore than the rest of us – sure they are battling soaring property prices and the tedium of the corporate ladder, but coming from London that was hardly unfamiliar. Ten weeks of morning sickness ensued, turning my daily commute into a 45-minute gauntlet. And so I remained, completely ignored, for the full 15 minutes it took to reach my station. Nobody offered me seat or asked me if I was okay. For the first time Singapore had made me feel unhappy. I had been vulnerable – completely reliant on the kindness of strangers. Singaporeans, I felt, had let me down. As I sat recovering on the platform I wondered if this was part of the story behind those Gallup poll results. By this time a follow-up to the original survey had been published and according to the figures, Singapore had apparently cheered up quite a lot. The debate certainly has not gone away despite the latest set of survey results. The article above belongs wholly to the BBC and no copyright infringement whatsoever is intended. Original article available at: http://www.bbc.com/news/magazine-26546169, dated 14 March 2014. If you have not heard, King Albert Park fondly known as K.A.P has been sold to Oxley Holdings for $150 million. 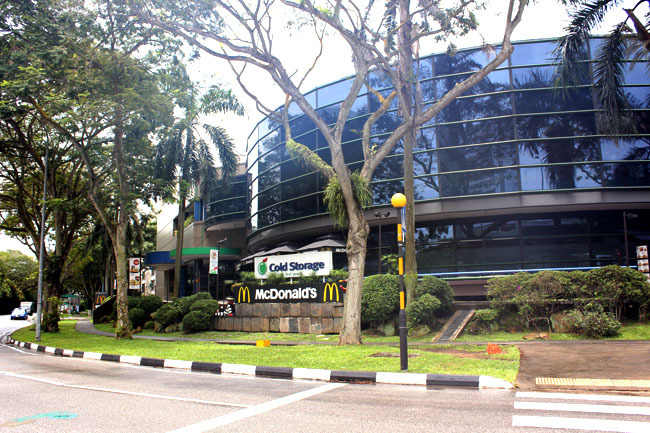 That would mean all seven units, including the favourites Cold Storage, Island Creamery and yes, McDonald’s at KAP would be closing and saying goodbye. 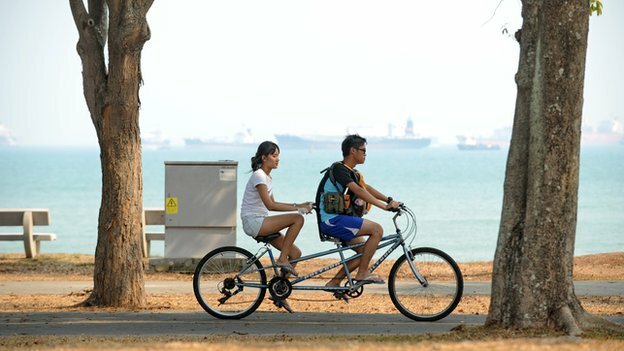 Online voices are not too happy about it – that an “iconic 20 year place” is going to be turned into another condominium; that they are losing part of their memories; and this is coming right after the closure of East Coast Park. To many, they do not understand the “sadness” and fuss… Good riddance to another fast food restaurant. But there is another group of people who feels lost about the fate of this “heritage site”.